No journey is complete without letting others know where you have been. It’s simple: Invest and Invite. God loves everyone, and wants us to let them know Him too. His message is “Good News” and should be shared naturally as opportunities afford themselves, but many believers are intimidated about sharing. 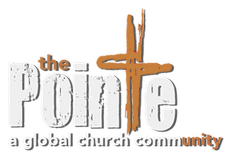 At The Pointe, we offer training and support as you learn how to share your own story with others, and we provide the tools you need to “invest” in relationships with the “not-yet-believers” that you know, and to “invite” them to attend our unique and exciting church. The steps are easy, relational, and natural when you are well-equipped to share the right way. Imagine your friend’s or family member’s excitement as their personal journey with God begins because you cared enough to share His love with them too.